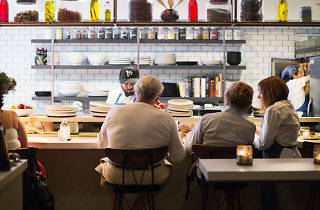 Photograph: Mike Kelley and Ryan Phillips Chef's counter at Saint Martha. So you’ve snagged a reservation at one of the hottest restaurants in town—but have you scored the best seat in the house? From a chef’s counter at a new Koreatown wine restaurant to a hotel's ultra-private dining room, and chef’s tables that put you face-to-face with Los Angeles’ top toques (like spaghetti master Scott Conant), here’s everything you need to know about the city’s most sought-after culinary experiences—including how much you can expect to spend. As Downtown welcomes an influx of new restaurants, neighborhood classic Patina continues to set itself apart with its acclaimed French cuisine and dramatic location inside the Walt Disney Concert Hall. To experience an over-the-top meal at this unforgettable Michelin-starred dining destination, gather up to eight of your favorite foodie friends for a dinner at this secluded chef’s table. Here, diners are not only separated from the rest of the restaurant in a private room overlooking the kitchen, but they also receive extra attention from chef Joachim Splichal and his crew as they envision a personalized seven-course menu, at $140 per person, with optional wine pairings for an additional $80 per person. When to reserve it: For a weeknight, call at least one week ahead. For a Friday, Saturday or Sunday evening, book it one month in advance. At Providence, come to Michael Cimarusti’s chef’s table for the food and stay for the experience. Looking onto the kitchen of this Michelin-starred fine-dining institution, this chef’s table seats up to six people, offering diners the chance to watch the intricate process of their meals being plated. Cimarusti is also known to chat with diners—a story about his latest fishing trip, perhaps, or the meal’s inspiration—and will customize a menu around special requests in advance, whether it’s a specific theme or dishes built around a particular ingredient. Diners also have the added bonus of hooking up their iPod to the table’s private sound system. When to reserve it: It varies from (lucky) day-of reservations for weeknights to two months ahead for weekend dining. 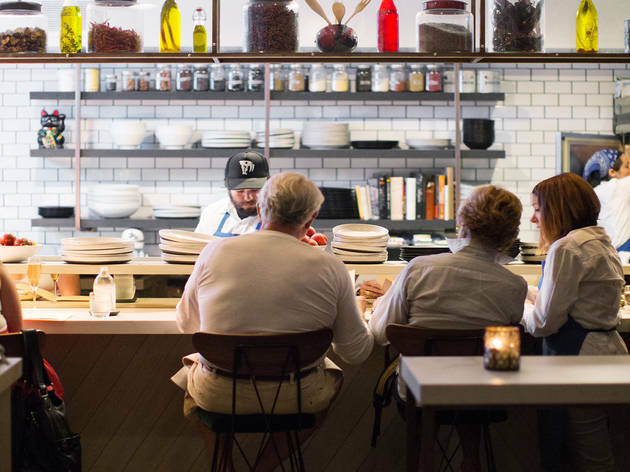 At Bestia, Downtown’s ode to Italian fare by husband-and-wife culinary team Ori Menashe and Genevieve Gergis, there's no need to rubberneck for a glimpse at the kitchen's inner workings. Instead, reserve a spot with at least four other people at the coveted chef's table. 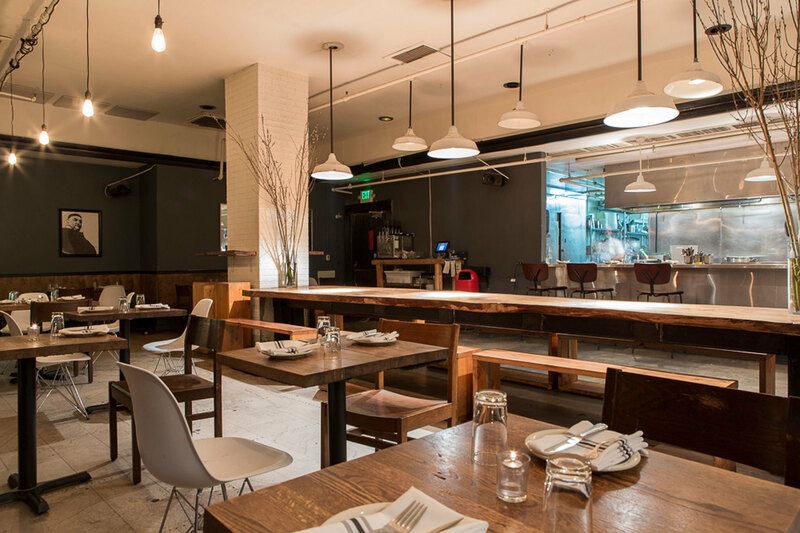 Taking cues from its industrial-meets-contemporary space, this long, wooden perch can seat up to seven people, allowing diners to observe the kitchen's hustle and bustle as the talented team turns out dishes such as chicken liver crostino and roasted marrow bone with spinach gnochetti. When to reserve it: Three to four weeks ahead for weeknights and four to six weeks ahead for weekends. 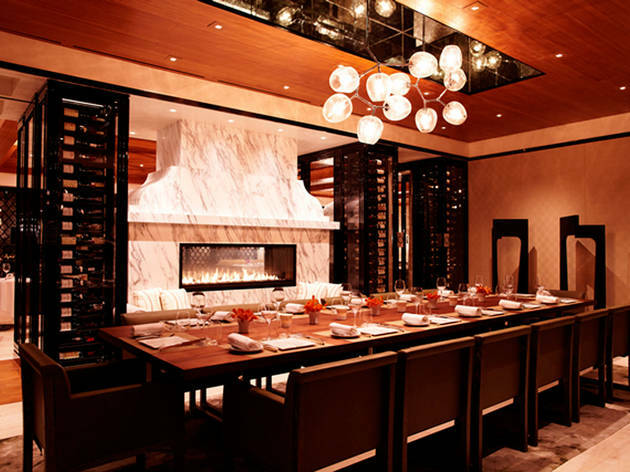 Serious steak fans are in for a treat at The Langham Huntington Pasadena’s The Royce Wood-Fired Steakhouse, where up to eight diners can indulge their meat-loving fantasies at the sleek chef’s table. Recreating a theatre-like experience, the crescent-shaped hardwood table sits behind a glass wall and looks onto the kitchen, allowing diners the opportunity to watch Chef Perry Pollaci and his team whip up a customized seven-course menu using seasonally available ingredients and herbs and vegetables from the property’s garden. 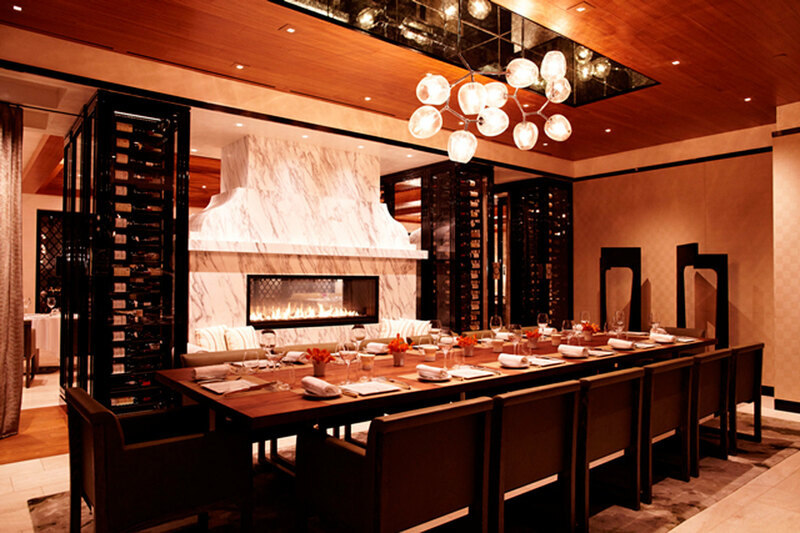 Expect dishes such as kobe beef “shabu shabu” with uni and beef consommé and Alaskan halibut with sumac pappardelle and paprika to make their way onto the lineup (starting at $135 per person), which can be amped up with an optional wine pairing from the restaurant’s award-winning cellar. When to reserve it: At least a week in advance, or you might luck out with someone else's last minute cancellation, but that means you'll be eating their customized menu too. The only thing better than eating chef Scott Conant’s famous tomato and basil spaghetti at Scarpetta, is tasting it while seated at the chef’s table. 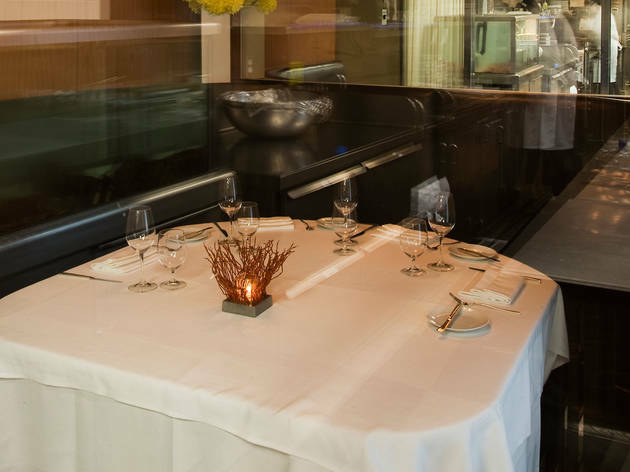 Accommodating up to 14 people (food and beverage minimum ranging from $1,500 to $2,000, depending on the day of the week), this table is located in a private room, with prime views of both the open-air kitchen and the surrounding Beverly Canon gardens. The room also has a separate entrance onto Beverly for paparazzi-free arrivals. For a more up-close-and-personal experience, book the five-person chef’s counter flanking the kitchen (food and beverage minimum starting at $1,000 for a group), where Conant and his team prepare favorites such as cavatelli with house-made duck sausage or slow-roasted Scottish salmon. When to reserve it: Call at least a week ahead for a reservation during the week, two weeks for a weekend reservation, and a month (or more) in advance if it's a particularly special occasion. 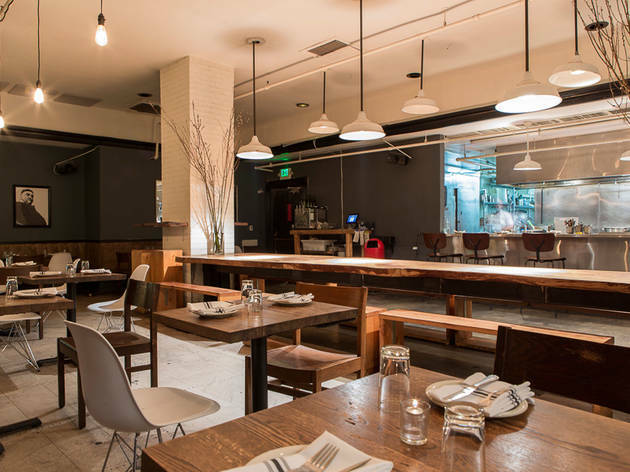 At Koreatown newcomer Saint Martha, nab one of the five available seats at the chef’s counter to watch executive chef Nick Ervin (formerly of Messhall Kitchen) work his magic in the exposed kitchen. Named after the patron saint of cooks and servants, this jewel-box spot serves up the likes of lobster steamed buns, poached cod and 14-hour hickory-wood smoked brisket à la carte, alongside more than 50 wines by the taste, glass, piché or bottle, as well as sake, soju and craft beer. 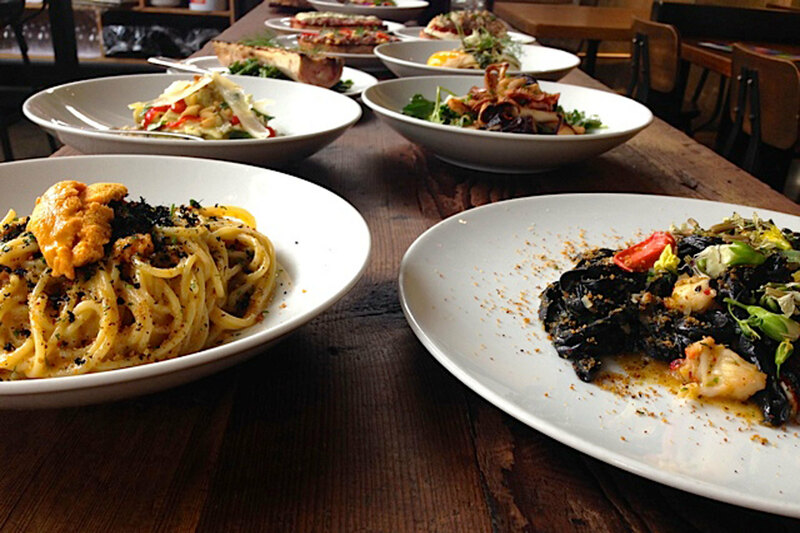 Keep an eye peeled for five- and seven-course tasting menus making their debut later this summer. When to reserve it: Call about a week ahead of time for a weekend reservation, but on a weeknight you can usually call day-of or even walk in. Downtown’s The Gorbals first put itself on the map with its eclectic Scottish-Jewish fusion cuisine as imagined by owner and chef, Ian Hall. This summer’s addition of a weekend brunch program overseen by chef Kris Morningstar has only further cemented its status as a local dining destination. Belly up to the six-seat chef’s counter to witness the kitchen wizardry first-hand, and show your support by buying the chef and his team a round of beers for $13—which will not only earn you their gratitude but, most definitely, a round of cheers. When to reserve it: During the week, call a day ahead or get lucky day of. For a weekend, call about four days in advance—it doesn't book up as quickly as the rest of the restaurant. At smoke.oil.salt, Adam Fleischman's new West Hollywood eatery, the focus is on Spanish tapas and wine: paella, fideua, serrano cured for 18 months. 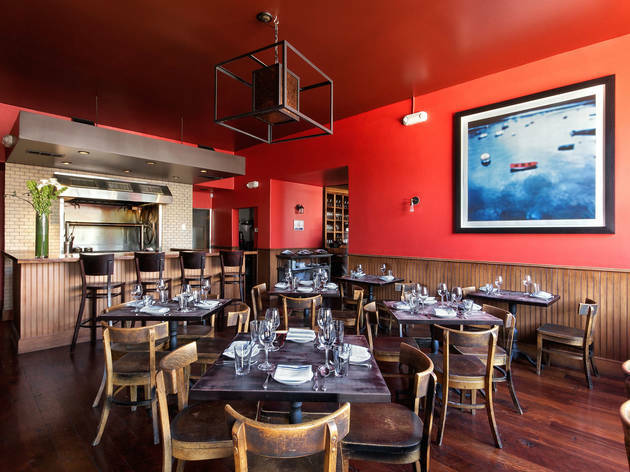 The restaurant is divided into two rooms (one featuring the oven as a central focal point; the other displaying more of a wine bar feel), and there is a chef's counter with space for four to five diners, where you can order from the regular menu and chat with chef Perfecto Rocher as he whips up sea urchin flan. Come Fall 2014, however, this space will offer a prix-fixe menu, where you'll be able to order dishes in a Spanish omakase style. Stay tuned for more details on the menu! When to reserve it: Walk in and snag a seat on weekdays—it's first-come, first-served and still a bit of a secret at the restaurant. 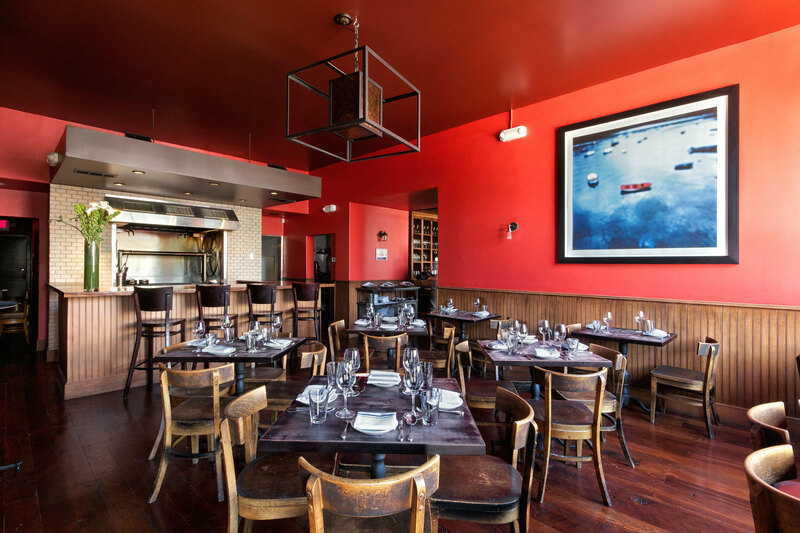 For a weekend dinner or more popular evening, call a week ahead to claim seats. 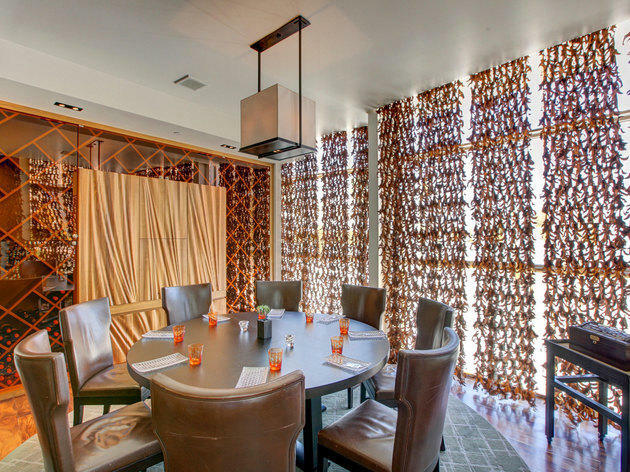 Sure, we love the garden patio at Suzanne Goin’s farm-to-table spot, A.O.C., but what we love even more is the private wine room that overlooks it. 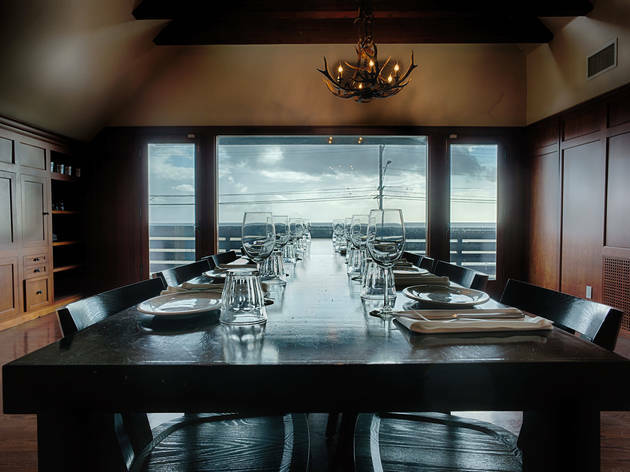 Up to 40 guests can partake in a sit-down meal in this elegant and rustic space, featuring wood-paneled walls, ceilings and floors, and an impressive display of the restaurant’s wines on offer. 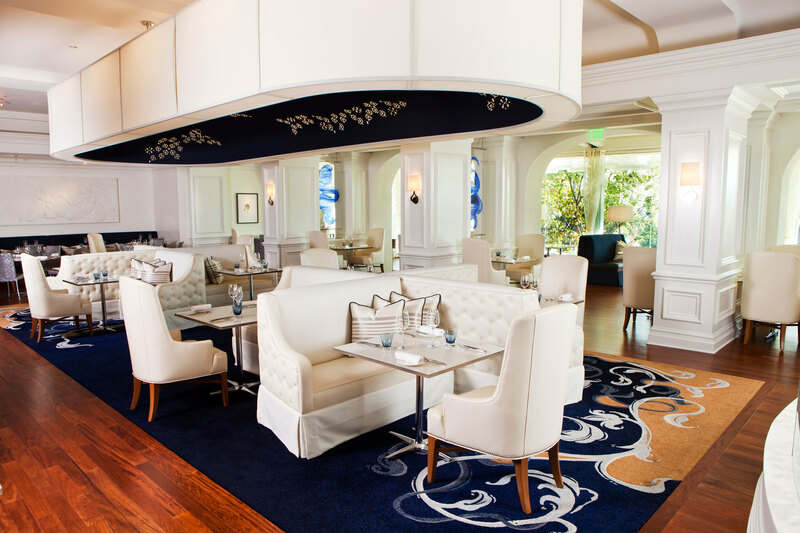 Menus are customizable and feature the signature Californian- and French-influenced fare, with standouts such as a vegetable-laden farmers’ plate and soft polenta, wild mushrooms, mascarpone, spigarello and gremolata. Food and beverage minimum ranges from $2,000 to $4,000 for a group. When to reserve it: If you're a small party (2-5 people) and don't need the whole room, a few days or a week in advance should work. If you have a large party, you'll need to buy out the wine room ahead of time. For the full room, or more than 10 people, three weeks ahead is a good estimate. For a party of 20, there's sometimes a 50/50 chance it could be open the week of (rarely though). 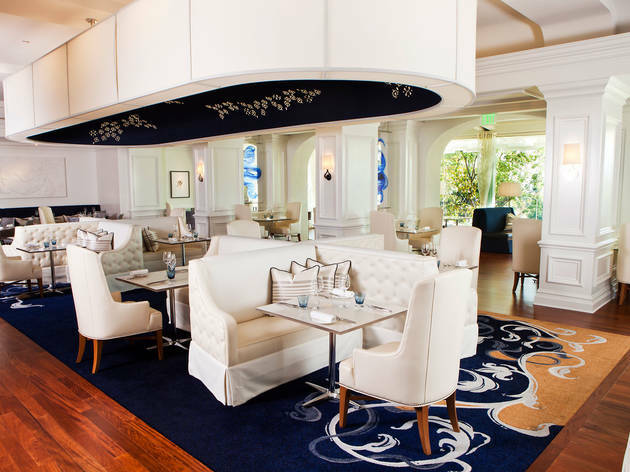 You might as well be in Italy the minute you set foot in RivaBella, a fine-dining mainstay on Sunset Boulevard. 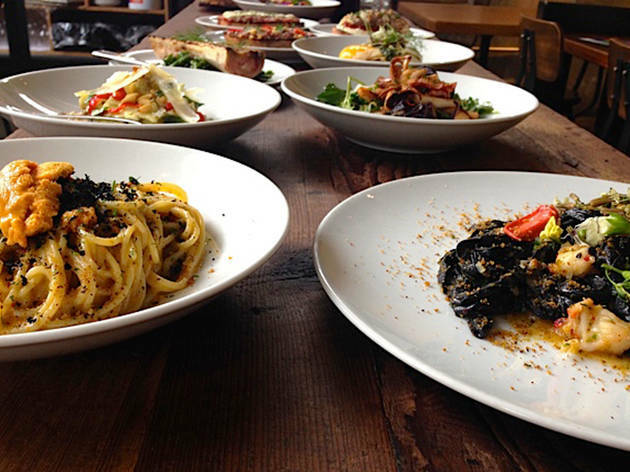 Helmed by chef Luigi Fineo—former executive chef of the now-shuttered Michelin-starred La Botte—this sleek spot turns out traditional Italian fare (corn agnolotti with black truffles, anyone?) amidst its landscaped indoor/outdoor patio, complete with retractable roof. 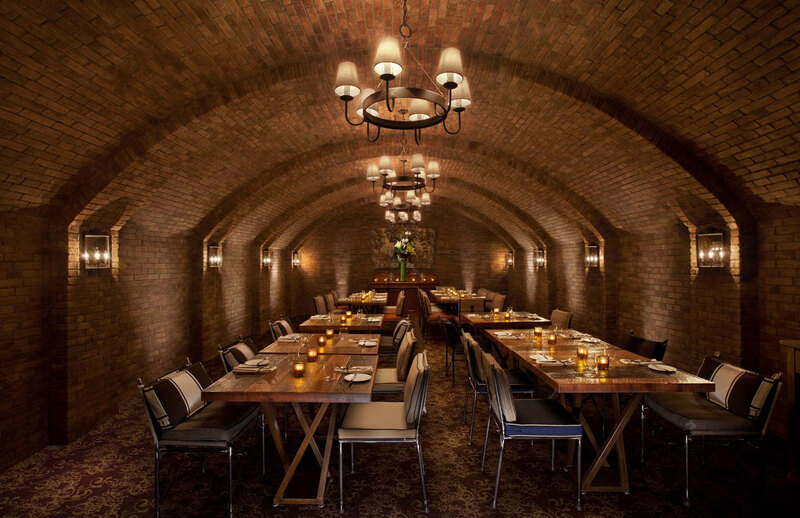 For a more intimate experience, reserve the brick-lined wine cave, inspired by the structures found beneath Tuscany’s wine estates. 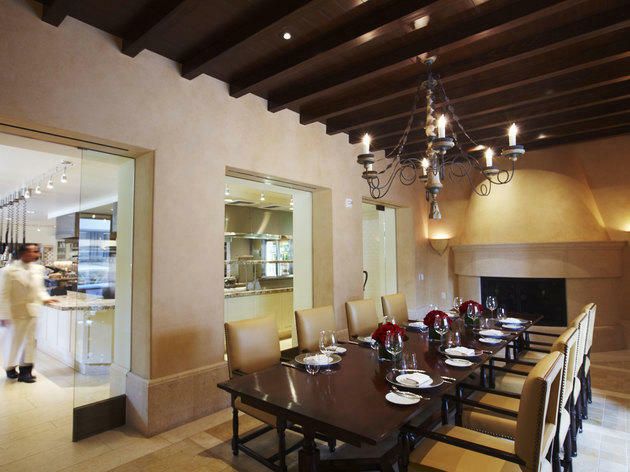 Home to the restaurant’s extensive wine selection, this rustic, enclosed space also boasts a communal dining table that can be rented for up to 50 guests (food and beverage minimum ranging from $2,000 to $4,000, depending on the day of the week) with a customizable set menu. When to reserve it: Call at least a couple of days ahead for weeknights and a couple weeks ahead for weekends. If you can’t get enough of Cecconi’s sun-soaked patio, then just wait until you step inside the private Butterfly Room. 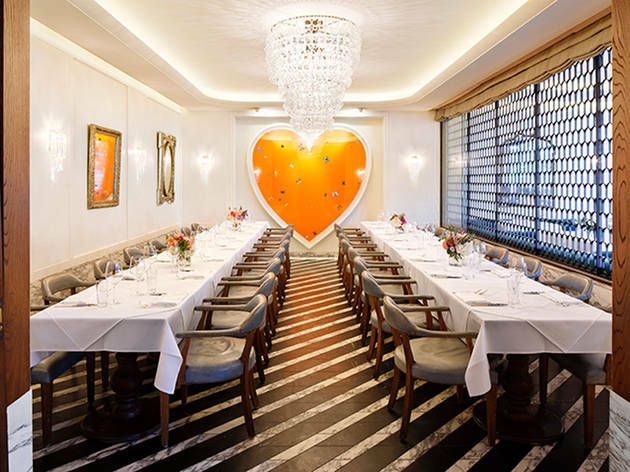 Named after the attention-grabbing Damien Hirst piece from his Butterfly Series which dominates the room, this space holds up to 40 seated guests. 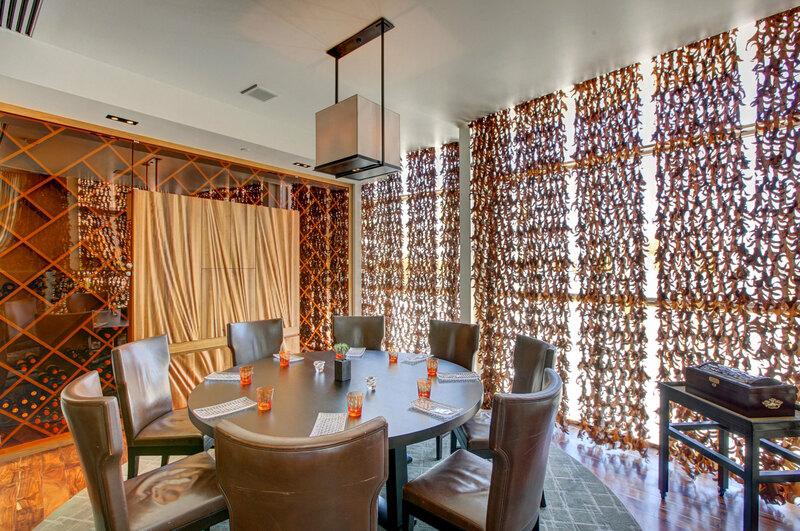 The room can be closed off from the restaurant with a Venetian curtain and also offers a separate entrance for extra privacy. Parties of eight or more can enjoy a three-course, prix-fixe menu (dinner starting at $55 per person). 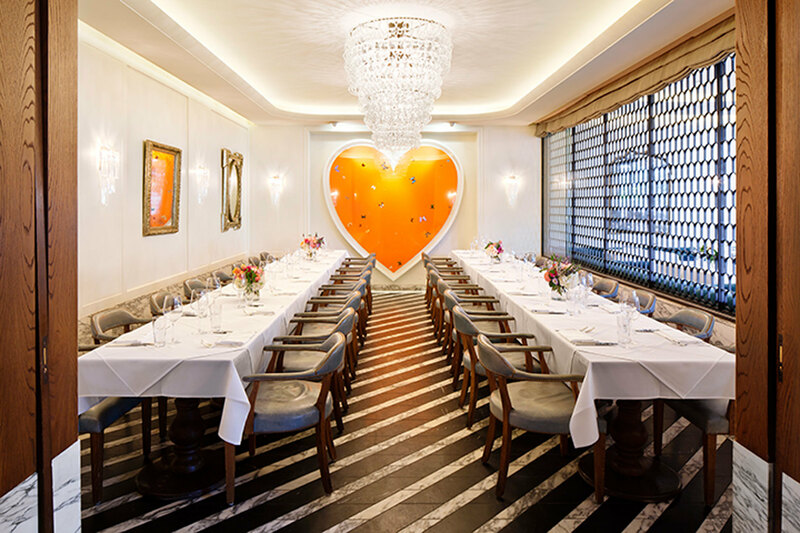 For groups of 16 or more (up to 40 seated), meals prepared by executive chef Andrea Cavaliere and chef de cuisine Alessio Biangini are served family style—think heaping servings of garganelli bolognese, eggplant parmigiana and calamari fritti. When to reserve it: You'll want to call five days ahead for weekdays, and one week in advance for weekend reservations. 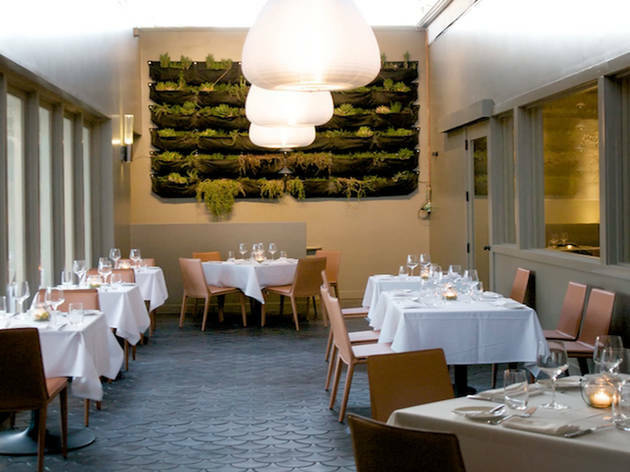 Foodies flock to Karen and Quinn Hatfield’s namesake restaurant for the couple’s inventive fine dining take on seasonal California cuisine. Step the experience up a notch at this Michelin-starred spot with a meal in one of the restaurant’s two private dining areas. Opt for a seated meal with up to 40 of your nearest and dearest (or as few as 10) in the restaurant’s wine room, surrounded by charcoal brick walls and windows that look out onto the restaurant’s impressive wine collection. 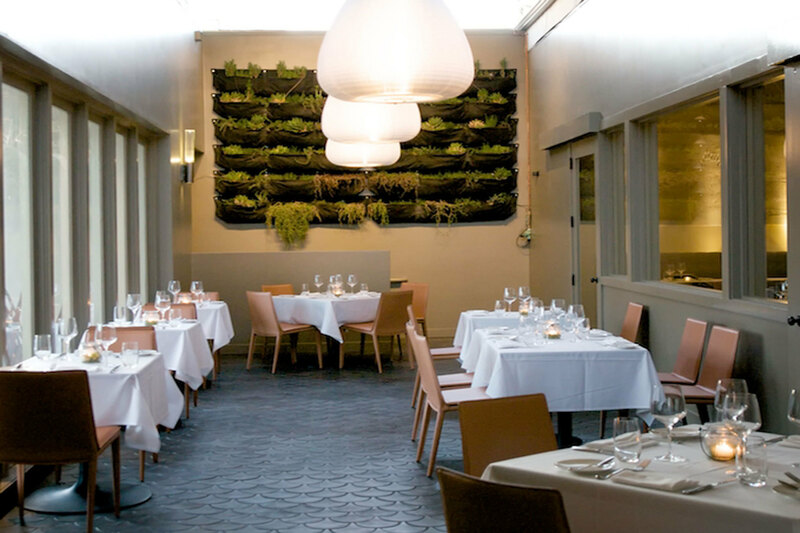 On warm summer nights, choose the restaurant’s conservatory room, which features a retractable roof for an al fresco experience, not to mention a lush, living plant wall. Dining packages vary from a three-course meal and house wine pairings ($100 per person) to a seven-course tasting menu, complete with a cocktail hour and passed hors d’oeuvres ($219 per person). Additional room rental fees start at $1,200, if you want to make it a big shindig. 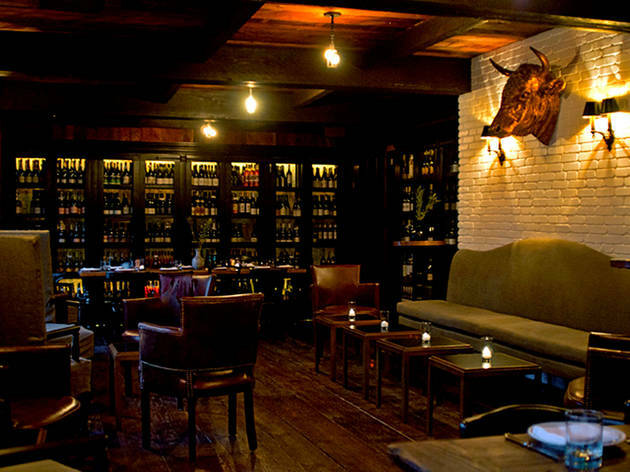 When to reserve it: Call at least a couple of weeks ahead to score a reservation. 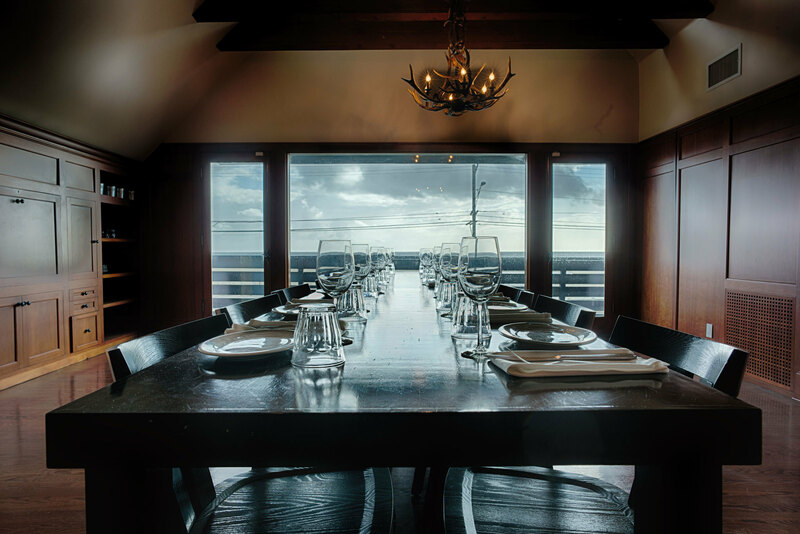 In the private dining room at Santa Monica’s Hungry Cat, seafood and seasonal California cuisine go hand-in-hand with sweeping ocean views. 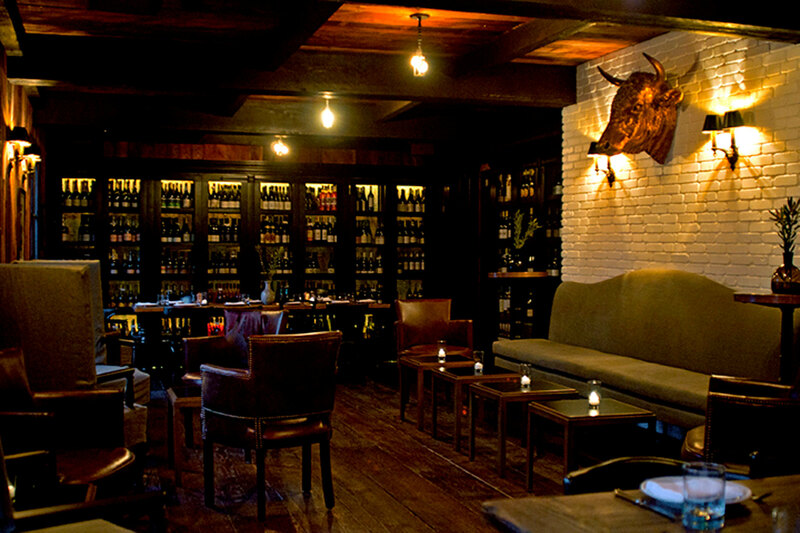 One of three locations between Los Angeles and Santa Barbara, this beloved local spot overseen by David Lentz and Suzanne Goin can accommodate up to 28 people seated for a three-course menu starting at $75 per person, with extra appetizers or a raw bar charged if your party is in the mood for pure gluttony. Consider us sold—hook, line and sinker. When to reserve it: Make your reservation two to three weeks in advance. 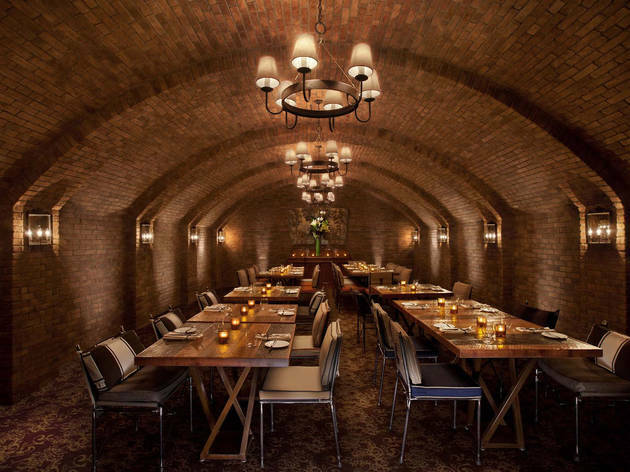 When the semi-private banquettes at Wolfgang Puck at Hotel Bel-Air just aren’t cutting it seclusion-wise, make your way to the restaurant’s private dining room. 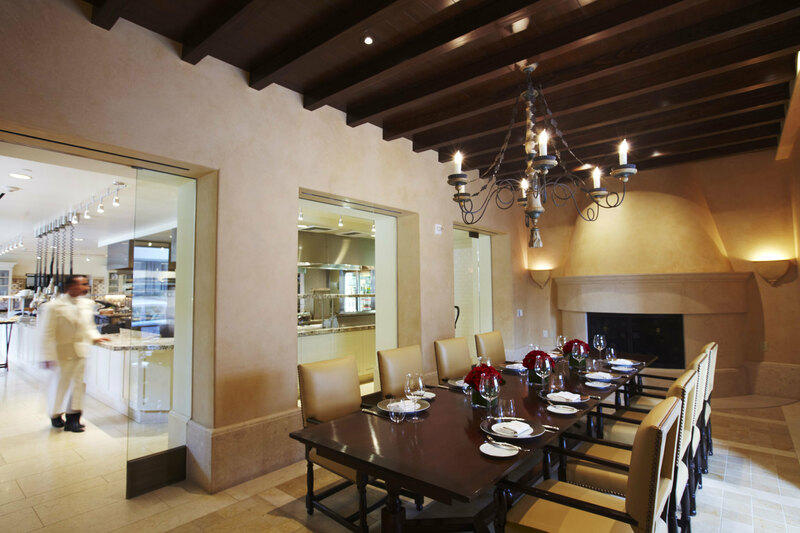 Up to 15 guests can dine in style in this elegant room, which showcases a marble fireplace and floor-to-ceiling glass wine cellars amidst contemporary surroundings. Parties can tailor their own three- ($115 per person) or four-course menus ($130 per person) from the restaurant’s standard California-inspired offerings (think summer squash pizza or Jidori chicken pot pie). Guests can also work with the chef to create a personalized menu at the same price points or higher. When to reserve it: It's a first-come, first-served private room, but for popular nights and holidays, make sure to call ahead at least three weeks and up to three months.